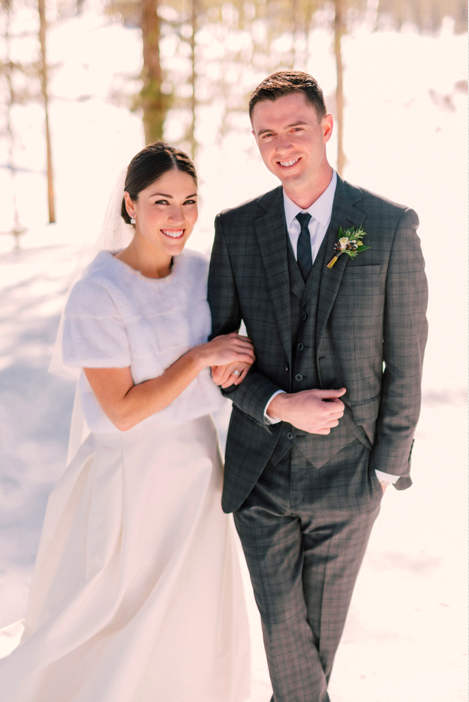 This gorgeous mountain wedding in Tabernash, CO not only had classic bridal hair, gorgeous glam makeup, and beautiful bridesmaids, but also featured a reception hair-do change! Up? Down? Pony? Bun? Can't decide, don't! 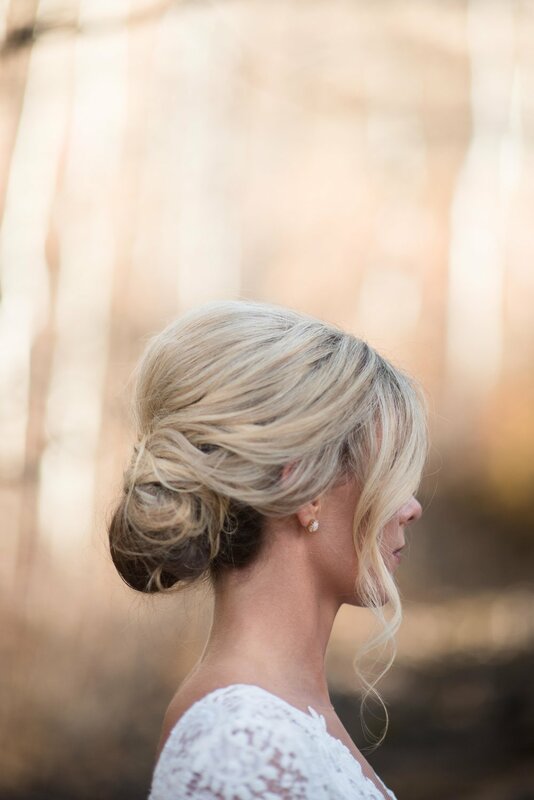 This lovely bride was classically elegant with a sleek bun for the ceremony. It paired so beautifully with her Carolina Herrera dress and fur jacket. The bridesmaids were also so sophisticated with full and soft blowouts. Then K took her hair to the fun and flirty zone with a wavy pony. This wedding was joy to be part of from start to finish and everyone was as lovely on the outside as on the inside. The day was captured with style by Steve Stanton, gorgeously planned by Love This Day Events, lovey florals by The Perfect Petal, and the timeless backdrop of Devil's Thumb Ranch. This gorgeous couple (and their equally gorgeous wedding party) tied the knot in beautiful Beaver Creek Colorado. It was sophisticated elegance with a Colorado touch. The makeup was dramatic and the hair modern with a boho braid. This will go down as one of our all time favorites! It was a beautiful snowy day at Devil's Thumb Ranch in Tabernash Colorado. Allie wanted to make sure she looked and felt like herself (always important for every bride!) We gave her a half up style with soft curls. For makeup we focused on her eyes by adding a winged liner and a bit of smokiness at the lash line. Because Allie's day included a sleigh ride in the falling snow, some touching up was added. It was an amazing day with our team of stylists and makeup artists. And some of the best vendors around! Beautifully captured by Brinton Studios and gorgeously planned by Love This Day Events. © Bisou Beauty 2018. All Rights Reserved.